Recovery and Boot Searching Time - Musketeers Too! Today is Sunday July 21 and after 5 days off the trail we are headed back to hop on where we left off at Route 9 in Bennington, VT. The cobbler can repair my broken boot but it will take two plus weeks. It is time to shop boots. Plus I need recovery time to heal my bruised feet. Hiking 5.5 miles in Crocs really numbed my toes and pads! I was lucky to find exactly what I wanted at CC Outdoor Store in Waterbury, VT. They have been so good to me! The boot I wanted needed minimal break in time and a full shank sole to protect my entire foot from roots and rocks. 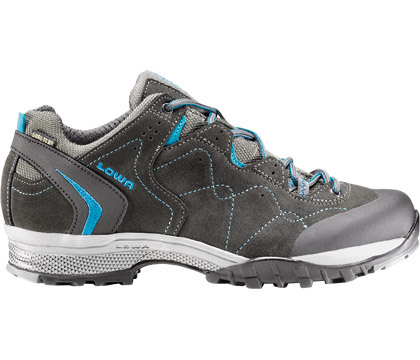 After trying lots of light hikers I tried the Lowa Focus Lo. Wow, I was thoroughly impressed. This boot was the only low hiker with a full shank. I bought it and spent the next three days hiking around the mail with a 30 lb pack. Once I took these boots outside I could not return them. I wanted to put them through some miles with a pack. I had a little pinching and my husband found a shoe stretcher and this helped widen the pinky toe area. While hiking miles in the cool air conditioning I also had several other boots hanging of my pack to test. I’m sure I was an interesting sight to the Mall shoppers! The Lowas were a winner! On Day four I committed and took them for a short hike. Still felt pretty good. Then yesterday I hiked up Camels Hump and they passed. I decided to get back on the trail today! I’m prepared with moleskin and liquid band aid to pamper any blisters. For the next two nights and three days, Carl and I will have minimal cell coverage and no road or side trails to get off the trail. Once Jonathan drops us at the trailhead, we are on our own for three days. Carl says he can do and he’ll hike slow to help me break in the new boots. Wish us luck! Sending the luck back your way and hope my LT thru hiking experiences offer preparation ideas for the start of your August LT thru hike! We most likely will be close to finishing when you get started. I can offer you showers and food drops when your hiking around Camels Hump. Keep me in mind!